THE Wells Comedy Festival – now in its fifth year – is back, bigger and better, for 2019, announcing the first batch of shows for this year’s shindig. 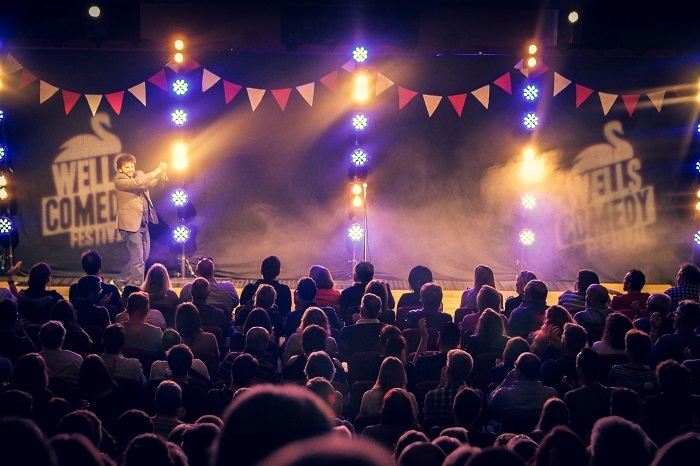 Over the bank holiday weekend of May 24-26, Wells will play host to a “weekend-long stand-up jamboree” (The Guardian), with dozens of comedy shows taking place at six venues around the city. 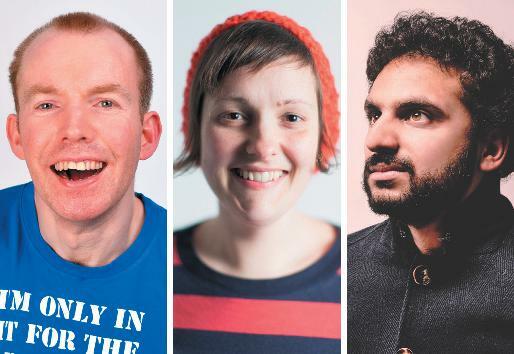 Comics performing at the three-day fest include The Mash Report host Nish Kumar, Taskmaster stars Mark Watson and Phil Wang, Britain’s Got Talent winner Lost Voice Guy, three-time Edinburgh Comedy Award nominee Josie Long, Radio X podcaster John Robins and Live at the Apollo stars Ed Gamble, Fern Brady, Suzi Ruffell, Laura Lexx, Jamali Maddix, Geoff Norcott and Desiree Burch. Also announced are shows from TV names including Upstart Crow’s Spencer Jones, 8 Out of 10 Cats Does Countdown stars Lou Sanders and Adam Riches, Mock the Week regular Rhys James, Have I Got News For You’s Tony Law and Kiri Pritchard-McLean, BBC Three’s The Luke McQueen Pilots victim Luke McQueen, Harriet Kemsley and Bobby Mair – stars of Comedy Central’s Bobby and Harriet Get Married – and Roast Battle roasters Rosie Jones and Alfie Brown. There are also shows from podcasters Stevie Martin (Nobody Panic podcast) and The Guilty Feminist’s Jessica Fostekew, Radio 4 regular (and former Wells Cathedral School student) Vikki Stone, Edinburgh Comedy Award nominees Jordan Brookes, Ben Target, Sara Barron and Lucy Pearman, and double Edinburgh Comedy Award winner John Kearns. Plus hugely talented stand-ups Stuart Laws, Annie McGrath and Pat Cahill, rock and roll IT consultants Foxdog Studios and, as is festival tradition, the Comedians Cinema Club will be closing the weekend with their live reinterpretation of Wells’ very own Hot Fuzz. Tickets for the initial shows are on sale at www.wellscomfest.com. Further shows will be announced over coming weeks.